The book begins with a visit to the long-neglected site of ancient Magdala on the western shore of the Sea of Galilee. Unexcavated and slipping into the sea, Migdal stands as a reminder of the lost history of Mary Magdalene, and of ancient women. From Migdal, the reader moves back in history, looking through Mary's legends to her fame and notoriety. 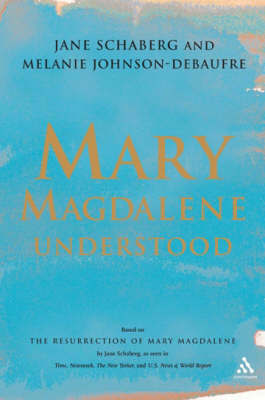 UNDERSTOOD then explores the silence, conflation, and distortion that characterizes Mary's afterlife in text and image. There is Mary the Whore, the Demon-Possessed Madwoman, and the Penitent. All give glimpses into the significant social anxiety generated by women's sexuality, intelligence, and spirituality--power. Mary's medieval and modern legends are contrasted sharply with her depiction in the Gnostic and apocryphal materials of Tomas and Philip. The scrolls of Nag Hammadi are discussed, and Mary's role as visionary and leader are looked at--all giving a portrait of Mary's prominence in the early centuries of Christianity. Mary's story is part of an overall egalitarian and mystical movement that interpreted the absence of Jesus' body as a powerful and prophetic sign of God's vindication of the world's suffering. The conclusion takes us back to the contemporary world. A reconstruction of Mary Magdalene and a Magdlene Christianity might be a source for social transformation. An epilogue, completely new to this book, looks at the phenomenon of THE DA VINCI CODE.